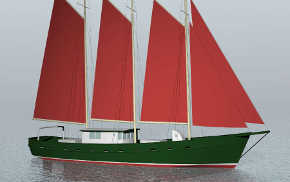 Above are the hull lines of Varua, designed by Starling Burgess in 1940. 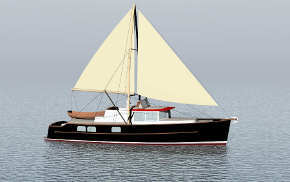 In More Good Boats Taylor reports that Burgess and Robinson tested her model at the Stevens Institute and altered the stern until she could run before any sea at various speeds without disturbing them. Burgess and Robinson dubbed it her, “double chin” stern. 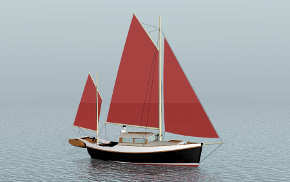 Burgess also drew a gaff ketch rig (marconi mizzen) and consulted on the composite (steel frame, wood plank) construction details. 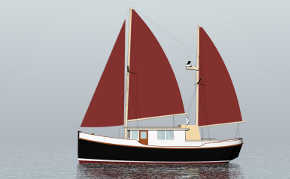 It was wartime and Burgess was heavily involved in various navy design programs, so (the story goes) Robinson turned to LF Herreshoff to draw up the brigantine rig. 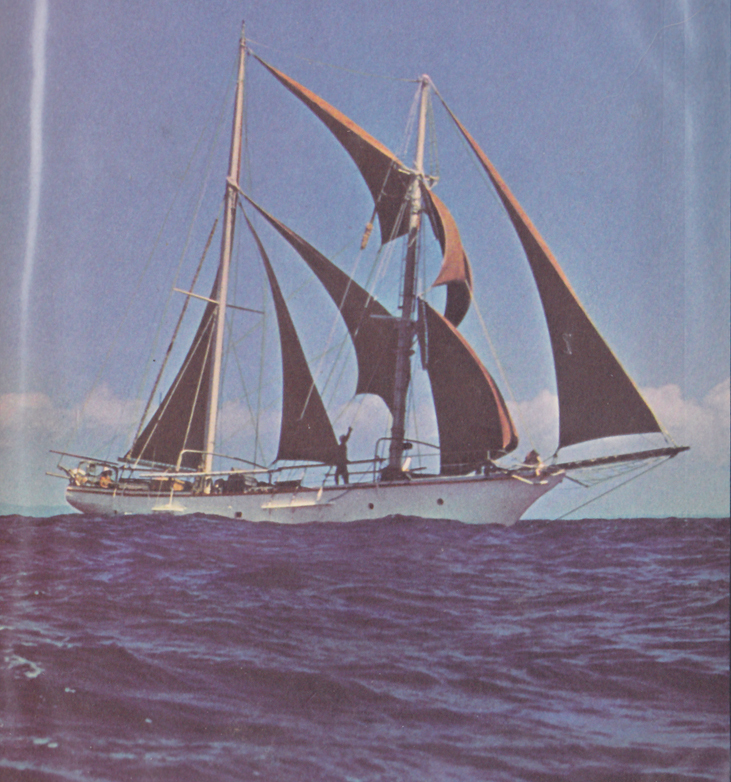 When she left Gloucester in 1945 they sailed with the gaff ketch rig, but as the voyage progressed Robinson gradually changed her over to the brigantine. 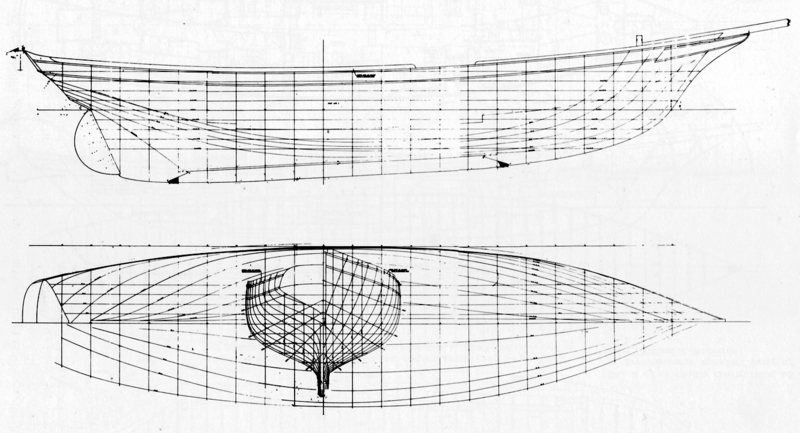 It is really interesting to compare Varua’s lines with those of Tioga II (now Ticonderoga) designed in 1935. Starling would have been well aware of the rival hull by his friend LFH. What immediately strikes me is the long midsection of Varua, with steeper buttocks at each end. Looking at Tioga’s waterlines shows much finer entry and exit with lots of cutaway both forward and aft. Varua’s lines come off as more balanced and less extreme. The two are very close dimensionally, Varua is 4′ shorter on the waterline but 3″ wider and 3″shallower. I would guess Varua has the higher prismatic and thus higher potential speed, but Tioga will do better in the light and may be better all around……A race between the two would be quite interesting. 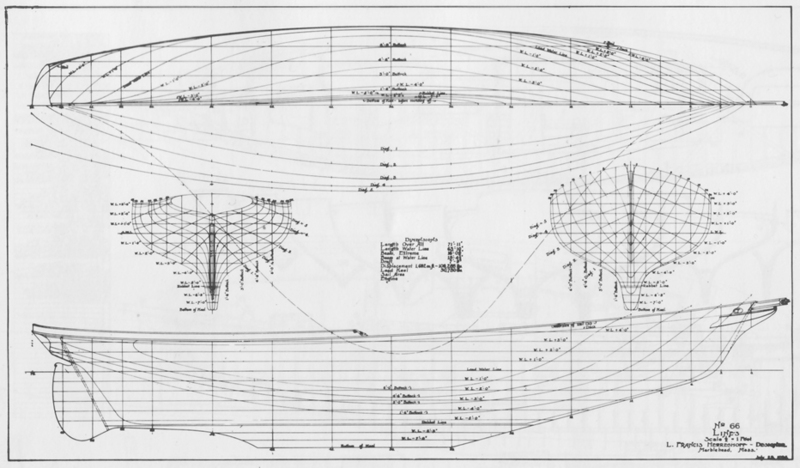 Starling Burgess was undoubtedly a brilliant designer and intuitive engineer. But I wonder about the “design” of Varua. From what I can tell Burgess always employed so-called draftsmen, people like Francis Herreshoff, Norman Skene, Henry Gruber, and Marjorie Young, whom he would marry. For me the act of design is inseparable from that of making the drawings, so that making the the drawings is creating the design. So how did Burgess separate design and drawing? It has recently come to light that a well-known Gruber design (Binker) was for many years attributed to Burgess. And in Varua’s body plan I see a great deal of Gruber, or is it that in Gruber’s body plans I see a great deal of Burgess?